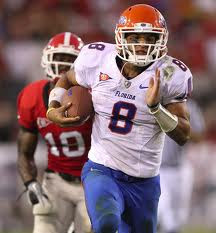 It was a struggle for the Gators in 2010 thanks to a depleted offense and defense. Luckily things will improve. Quarterback John Brantley enters his second season as starter and he'll feel more comfortable behind the center. The backfield is good too thanks to Jeff Demps who has good speed. Brantley has decent options with junior Omarius Hines among others. Playmaking senior Deonte Thompson is fantastic for Brantley. Wide receiver and quarterback Trey Burton is an odd player. He has good speed and is a long-shot canidate for the Heisman. The offensive line is weaker now without guard/center Mike Pouncey. They still return two starters on it though with sophomore Jon Halapio and junior Xavier Nixon. The defense is very weak now due to a weakened secondary and front seven. The defensive line is headed by tackles Omar Hunter and Jaye Howard. The linebacker unit is not that great especially without A.J. Jones. Middle linebacker Jelani Jenkins, a sophomore, is the only returning starter of the five. 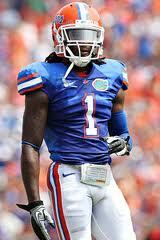 The secondary was Florida's top unit in 2010 but now may be its weakest. They return cornerback Janoris Jenkins, the experienced man. Without Will Hill and Ahmad Black though he won't have much help. The special teams lost its leader in Chas Henry but still has options.